Yes, they really are easier on your hands! Kollage's Square Crochet Hooks are designed to be ergonomically suited to your hands, decreasing stress and strain for those who love to crochet. 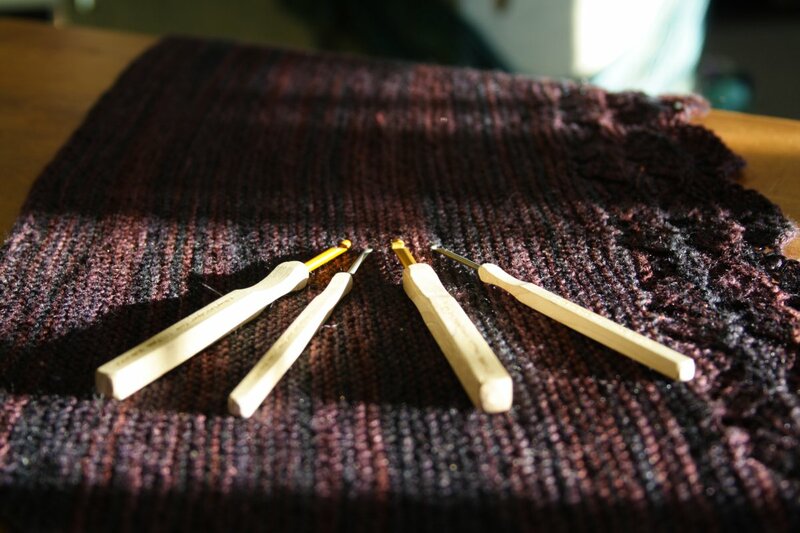 Best of all, these crochet hooks are now made in the USA with handles that are handmade from American Maple! The size 2.0-3.0mm hooks are made from stainless steel and the 3.25-8.00mm hooks are made from high grade aluminum. Choose from pointed or rounded noses. 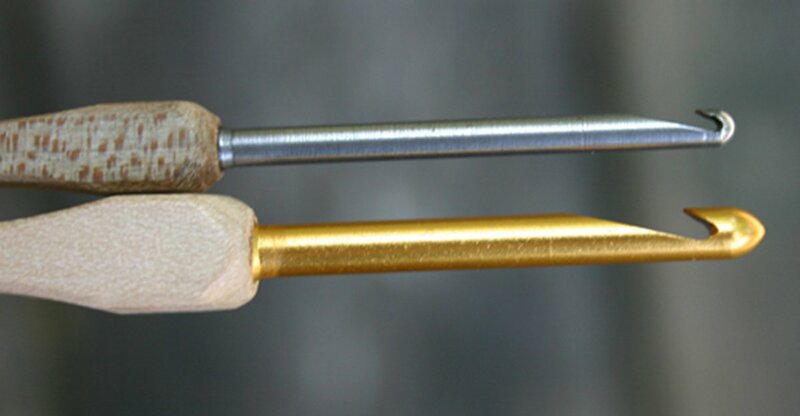 Knitter's Pride Basix Crochet Hooks Needles and Knitter's Pride Dreamz Crochet Hooks Needles are both similar needles: 6" / 6.5", crochet, and crochet l - US 11 (8.0mm) US size. Knitter's Pride Basix Crochet Hooks Needles From $2.38 to $3.40Select options on sale now! Knitter's Pride Aluminum Silver Crochet Hooks Needles From $2.59 to $3.70Select options on sale now!